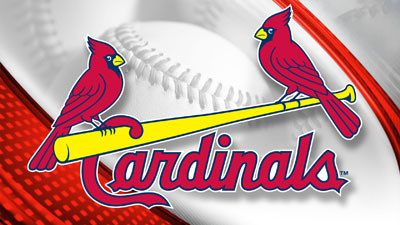 12:07pm: The Cardinals will send the Mariners around $17MM, Rosenthal tweets. 10:12am: In a surprising development, the Cardinals have dealt righty Mike Leake to the Mariners. Young infielder Rayder Ascanio will go to St. Louis in the swap, with $750K of international bonus pool spending capacity and unannounced cash considerations also heading to Seattle. It’s not yet known how much cash the M’s will take on in the deal or what players may be headed in return. 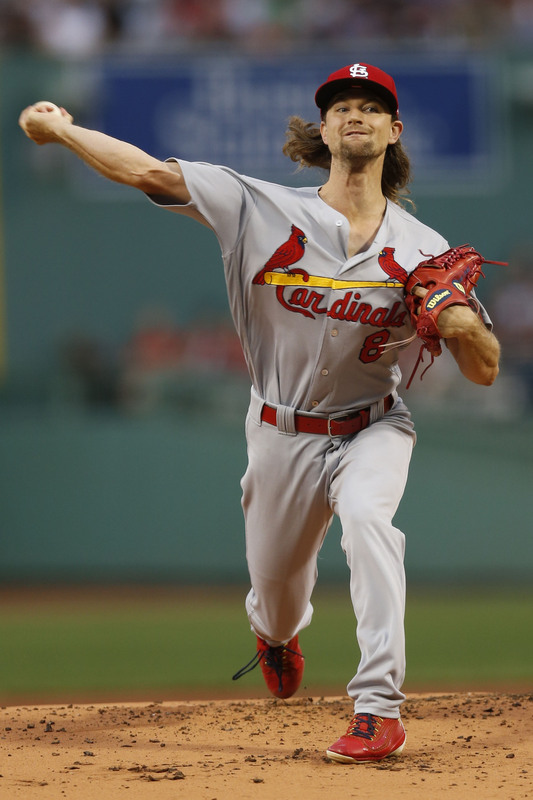 Leake had already cleared revocable waivers, per Derrick Goold of the St. Louis Post-Dispatch (via Twitter). That was to be expected. Leake is earning $15MM this year, with about $2.5MM left to go. He remains under contract through 2020, with a $53MM total guarantee — including a $5MM buyout of a 2021 mutual option. Leake’s contract includes full no-trade protection, so his approval was required for the deal to go through. He has indeed waived the clause, per Nightengale (Twitter link). Notably, Leake has spoken of his desire to be closer to family in Arizona and will now at least get to spend Spring Training there; that motivation and others may have aided his decision. Since signing on with the Cards before the 2016 season, Leake has shown the durability that earned him the contract, throwing 330 2/3 innings over 56 starts. But he has also managed only a 4.46 cumulative ERA while compiling 6.2 K/9 against 1.8 BB/9. Leake has struggled especially of late, working to an 8.88 ERA in his five starts in August. Assuming he can get back on track, Leake will help steady a Seattle rotation that has faced a steady barrage of injuries. Felix Hernandez, James Paxton, Hisashi Iwakuma, and Drew Smyly are all on the DL, with only the first two expected to return this season. The club has fallen three games off of the AL Wild Card pace, but evidently still feels compelled to push for the postseason this year. Of course, Leake will also represent a piece of the future picture. The Mariners will almost certainly bid adieu to Iwakuma, Smyly, and Yovani Gallardo over the winter. Erasmo Ramirez and even David Phelps — both acquired earlier this summer — could be rotation options (though the latter has worked from the pen), as could Gonzales. Still the team was clearly in need of at least one more arm to go along with King Felix and the Big Maple. This is the second notable recent swap between these organizations, who had previously struck a deal that sent young lefty Marco Gonzales to Seattle for outfielder Tyler O’Neill. Leake may well end up bumping Gonzales out of the Mariners rotation for the time being. Seattle will also pick up some bonus pool money, which St. Louis wasn’t able to utilize anyway following penalties for prior spending. 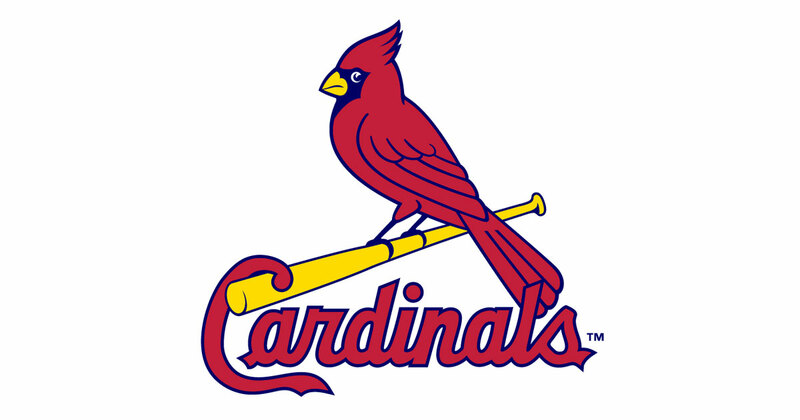 The Cards will also add the 21-year-old Ascanio, a middle infielder out of Venezuela. Ascanio has played at the Class A and High-A levels this year, posting a .217/.295/.355 slash over 450 total plate appearances. 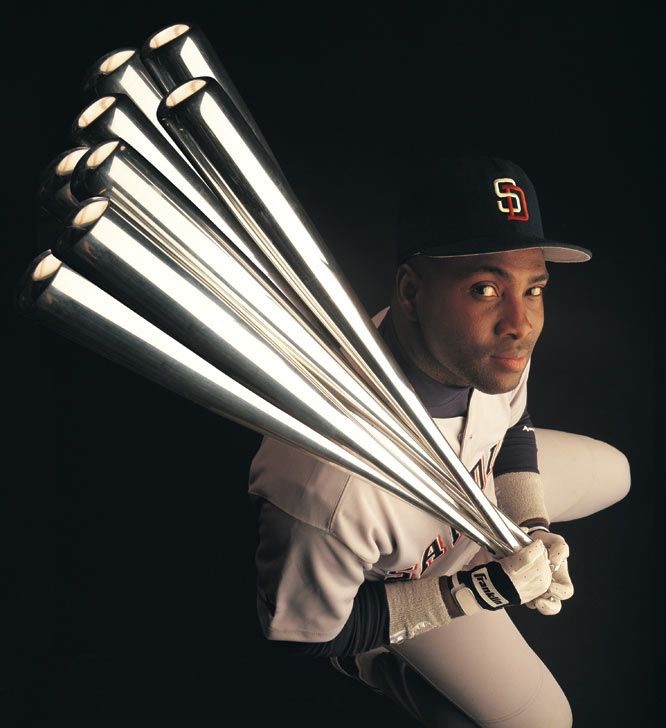 That’s not a lot of offense, though he has knocked nine balls over the fence — more than he had over his four prior professional seasons combined. St. Louis remains in the hunt for both the NL Central crown and a Wild Card spot, though the team enters play today five games out of the postseason picture. While the rotation has had its issues, Luke Weaver has emerged as a quality option since returning to the majors recently, perhaps freeing the club to deal Leake. Another young righty, Jack Flaherty, likely isn’t far behind. Ultimately, dealing Leake may have more to do with future considerations than the club’s immediate postseason hopes. Moving some of the contract will open some payroll space for 2018 and beyond, though it also takes away one rotation option with Lance Lynn slated to hit the open market and Adam Wainwright entering the final year of his contract. The club does still control Carlos Martinez and Michael Wacha, in addition to the two talented but less-experienced arms noted above, and will hopefully welcome Alex Reyes back into the fold next year. Parting with Leake, though, could conceivably keep the door open for the return of Lynn or lead the team to acquire another rotation piece over the offseason. Bob Nightengale of USA Today (via Twitter) first said a deal involving Leake was close, per Ken Rosenthal of The Athletic (via Twitter). MLB.com’s Jen Langosch tweeted the detail on the international money. I thought he had a full no trade? He hasn’t been in the league 10 years. Doesn’t matter. He and the Cardinals agreed to a full no trade clause when he signed with them before the 2016 season. Must have told him he will be in the pin if he didnt waive it.. He waived the clause for the trade. I get a kick out of ppl that jump on ppl saying it’s in the article. Umm brainless these articles update. Not all information is there at the start. Just because he has a no-trade clause doesn’t mean he can’t be traded, it just means they have to get his consent, which he obviously gave. DBacks don’t make much sense, especially financially. Their rotation has been pretty solid recently so there’s no real need to make this trade from their perspective. Leake is an Arizona native so it’d be a nice story but that’s about it. Can we get Tyler O’Neil back? Taking the contract alone is more than enough. 52m over the next 3y is way too much for a bad 5th starter, then that’s a NL 5th starter at that. bad 5th starters don’t put up 2-2.5 fwar seasons. I would assume he goes to a non contender because the Cards just want to dump contract and may be willing to give up prospect if the team recieving him pays the contract. I’m not sure this is the time to be trading him after his recent slump! I guess we will see what they get in return! Maybe saving some money to sign Lynn! All the more reason to keep Lynn. That makes no sense at all. For what Leake is being paid itd be more like Leake+Cardinal Prospect for a PTBNL. Why would you even want Mike Leake. I rather just get Jerome Williams back. The cards are not going to add in a prospect in order to dump one of their own players. The PR on that would be horrible. Teams just don’t make those types of trades. teams have done that actually quite a bit recently. while he has not been great, league average starting pitching and consistent innings is not as easy to come by as people think. He is being paid around market value for what he does. Cozens is a crappy prospect, and Leake is a #4 making #4 money at this point. The FA market for mid tier starters is terrible this off season, and the Phillies NEEEEEED SP help. You’re basically getting Leake a 3/48M, so Scott Kazmir money..
As a Cards fan, I’ll be glad to see him go. I never liked the signing in the first place. The signing was a product of Mo’s “Knee-jerk reaction” to losing out on Price…….desperate move…..wrong move. He’s lucky to have found a taker, at this point….if he doesn’t include the $17 Million….that deal falls apart. As an O’s fan, I’d be glad to take him and his contract. Jimenez and Tillman come off the books at the end of the year and Leake is made for a team with a quality defense behind him. If we take his full contract, perhaps we can get him for a useful prospect like DJ Stewart or Cedric Mullins. Their outfield defense is pretty awful though. They’re probably better off going for ground all pitchers. O’s infield defense is pretty good…. Yankees make the most sense to me. Probably sending Nick Neidert and more. Leake is a good dude, but he just didn’t have it in the last several starts he has had. That salary made it an easy decision for the Cards to trade him, regardless of standings. Jeff: who,what,where,when,why…your article is missing several “W”. Trading with who? For what? Or is this truly a rumor? Where is clearly in the title, and the why is because the Mariners want pitching. The when is now, what is a trade, and the for who hasnt come out yet. Well it’s not like he is part of the call happening between the two front offices, he’s just reporting what he is hearing. This happens with almost every other trade until both teams officially report/confirm it. Let the man work, I’m pretty sure he knows what he’s doing here. Cards getting Kyle Seager back. where did you see this or are you just hoping? Yea it’s official. Mariners trade homegrown fan favorite for expensive aging starting pitcher that is having a down year. Lol negative. Cardinals include cash and international bonus slot money to get INF Rayder Ascanio (who?). This is according to Ken Rosenthal’s Twitter. Dumping Leake makes sense but the addition of cash and slot money for an unknown prospect is a little mind boggling. Cardinals got the spot money. Are there any other Jack Z prospects left in the system? Seems that Dipoto is cleaning house with prospects drafted by the old front office. Nick Neidert. 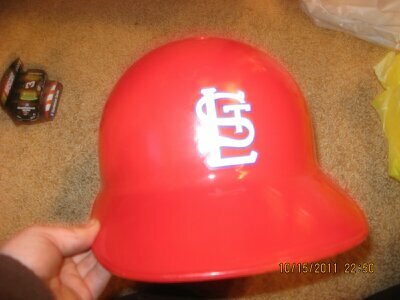 We gave up our old number two prospect to Cards for a starter that was no good, so knowing Jerry, he will do it again. Ha ha ha it was a joke but ok. Shedding salary for a possible acquisition of Stanton I hope. Keep wishing. Stanton already stated he would ONLY waive his no trade clause to go to a coast team. I wouldn’t want him anyway. His backloaded contract is almost as crazy as Pujols’s. I agree ppl are over reacting to Stanton finally having a healthy season. He will not be worth the contract in a few years. Ugh I don’t think this is a trade that is going to work out for the M’s as Leake has not been very good overall. The contract added to those they have is going to tie them up for the next several years. He’s still better than most of what they have. On the one hand, it makes almost no sense for the Mariners to make this trade considering they’re all but out of the playoff race. On the other hand, Leake has to be better than the mess that is the Mariners’ current starting rotation and provides a better innings eater than Gallardo. It’s not a one year deal for Leake, you’re getting a long term rotation option. There’s not much in Seattle right now. Miranda has pitched a full run above his FIP since coming up, don’t think he’s a long term option. Only gives you Felix, Pax, Erasmo Ramirez or Ariel Miranda maybe Iwakuma if they pick up his option. Not a lot of strong options there. Everytime I open this article I see the name Tyler O’Neil in bold. My hopes get up that we someone got him back. But Jerry would never do that. I am glad that the Cardinals traded Leake, he was not pitching well last year and this year also and in his last three starts he was terrible. I wanted him to get traded for the Cardinals to consider signing Lance Lynn. However, good luck Mike Leake in your new team. He was good in his last start. Overall, he has a decent 4.21 ERA and 1.33 WHIP this year. I would say this is almost more about clearing a 40 man spot than anything. Any salary relief is just gravy I would think. Wow, Cards quitters these days….BUT how did u find a sucker to jump at pickin-up that contract….? In other news….dwntn Seattle businesses are actively hiring Loss Prevention Associates immediately…..
Cardinals are improved without him. Leaves Weaver in the rotation regardless, plus may bring up Flaherty to fill in. If you need to find a sucker to make a great trade with, just call trader Jerry. Yeah…because Rayder Ascanio was such a big loss. Good lord, do you even follow the Mariners?? From what I heard the deal will end up at about $12M AAV for 3yrs plus we get the extra international pool money which could be big moving forward. We certainly needed a mid rotation guy for the coming seasons as well and $12M AAV is not at all out of the market for that. Trumbo, Gohara, Mallex Smith, Littel, Yarbrough, Jackson, Carson Smith, Tyler O’Neil. Add all of those trades together and currently out of that the only ones on the major league roster are James Pazos and Marco Gonzalez and you can kind of count Miranda. That’s a pretty unimpressive group of players you’ve traded away for the most part. Smyly got hurt, but that’s no fault of Dipoto. Idk if I’d lump together Gohara and Smith since you traded one for the other. You did get Dyson for Karns, which worked out. The jury is still out on Segura and Haniger for Walker and Marte. Considering the price of pitching right now and Segura’s deal after this year, that one might not look so hot in a year or two.. Gonzales for Oneill will never make any sense, he definitely sold real low there. Although I’m not sure Oneill is going to make it with that horrible plate discipline. 2 top 100 prospects, last years hoemrun leader, Littel is dominating this year, Carson Smith was a young elite reliever before he got hurt. And Smyly already had injury concerns, was I expecting TJ, no, but an injury isn’t that surprising. Trumbo was moved to go with a platoon that was better on paper. Turned out Trumbo had a monster 1st half and then sucked the rest of the way while Lind didn’t produce as he had in his career. Trumbo is back to being terrible this year. Gohara I will agree with, I was worried when we traded him and he’s done nothing to change that. However, he was part of the deal to get Mallex Smith whom we needed to acquire Smyly. It was unfortunate that Smyly got hurt but the process was fine. By the way, Mallex Smith was on the roster for like 30 minutes and has spent half the year in AAA (still there now) and is a mediocre slap hitter at best. Just to give you some context. Not to mention we still have Shae Simmons who should be in the bullpen fairly soon at the ML level. Zach Littell was an A ball pitcher that has some ability but was not considered even a Top 10 talent in a weaker minor league system. In return for him, we got a LH ML reliever for our bullpen in Pazos with six years control. That was a young player for young player deal that makes sense now. Alex Jackson was a failing prospect from the previous regime that was traded for young pitchers Povse and Whalen, The Braves moved him back to catcher, where is poor defensively. Currently he has a sub .700 OPS at AA after having some success in his FOURTH run at A ball. Carson Smith was traded for a needed starter before 2016. He barely pitched in 2016 due to injury. In total, Carson Smith has pitched a total of 10.1 innings at all levels the past two years. The piece acquired in deal, Miley, was flipped for young player Ariel Miranda who has been worth 2.5 WAR in the year with the club. Ryan Yarbrough is a AAA depth piece that is buried in the Braves organization. He may have some ability to pitch in the majors as a backend starter but again, he was part of the Smyly deal that unfortunately didn’t work out due to injury. Tyler O’Neill is ridiculously overrated. He has a .228/.285 line since going to Memphis and is running a 31% K rate. The guy is at best a poor hitting, limited walking, high strikeout outfielder with some homerun power at the ML level. Think an outfield version of Mike Zunino. And you’d still rather have Marco Gonzalez and James Pazos rather than all of them? I’m not sure Oneill is severely overrated. He’s no longer a top 100 prospect and is graded as a 50FV. Anyone who has power like him is going to at least be intriguing. He runs pretty well too, it’s not hard to see why he is interesting. His plate discipline is a black hole if he doesn’t fix it but he is only 22 years old in AAA. He’s on the cards now and they have no shortage of outfielders so hopefully he gets plenty of time in the minors to work it out. He might never fix it, but if he does you really have something. Hasn’t looked good thus far though. Chris Taylor was a nothing prospect. Sometimes you just have to throw your hands up and say that’s baseball. He’s never shown power like this. His Babip is sitting at a cool 391 and he’s K’ing 25% of the time so he’s not quite as good as advertised. Still a good player, but playing a good bit over his head right now. Yes, I’d rather have Pazos than an A ball pitcher with limited upside…which was the deal at the time it was made. Time will tell if Littell ends up being a legit ML pitcher or not. I question the O’Neill deal only from the perspective that I would have thought that he could have netted more than Gonzalez. I do not believe that O’Neill is anything more than what I said he is. A low average, low walk, high K guy with some homerun pop that he will struggle to get to due to the K rate issue. I wasn’t just asking about Littel and O’Neil. All of those guys we have traded have resulted in James Pazos and Marco Gonzalez. I was just reading the “reactions to the Mike Leake signing” page and your comment was first, saying you were pleased by this signing. He approved to be trade to be closer to his family in Arizona? Seattle is about 85 miles closer to Phoenix than St. Louis. And the Cardinals are at least guaranteed to come to Phoenix every year. Don’t count on a quick bounceback from Leake. It has been widely reported in the St Louis press that he suffers from stamina problems from a recent bout of shingles that still affects him. Another bad signing/extension by Mozeliak, who got rewarded for the Cards’ roster decline with a fat promotion and extension. Well, I mostly agree with this, except it was one disappointing season and one average season the Cards got out of him. What roster decline? Sure, Leake’s deal wasn’t that great, but they managed to dump him anyway. While Piscotty’s extension doesn’t look that great in Year One, neither did Wong’s, yet he’s come back to post a huge breakout season in Year 2 of his deal. Martinez’s extension is an absolute bargain. Fowler’s deal looks pretty good so far. They fleeced the Padres with the Gyorko trade. They actually managed to dump Jaime Garcia and his entire 2017 salary plus get real prospects in return. The young guys from AAA have come up and produced very well. They’d probably be leading the division if they just had a decent bullpen this year. Overall, Mozeliak has had a lot more hits than misses recently. “Notably, Leake has spoken of his desire to be closer to family in Arizona; that motivation and others may have aided his decision.” FYI, Seattle is actually further from AZ than St. Louis is. If you consider spring training, however, that comment might make sense. You mean “farther,” not further. Glass house ‘n all. People have a really poor idea of what a 5th starter is. Calling him a bad 5th starter, for example, just shows how out of touch some people are with the reality of what a 5th starter looks like. So with 30 teams, that makes him more of a #3 or high #4 starter (once you factor in all the really good pitchers that have simply had a really long DL stint sometime in the last two years). Is this supposed to be an argument in support of classifying him as a #5 sp? If it is, you are just reinforcing the points you are trying to argue against. O’Neill is going to be a replacement level outfielder at the ML level. He going to be low walk, high strikeout guy with some power. Although I believe we could have gotten more the Marco Gonzalez for him, I really don’t have much issue with trading him. Guys with high K rates in the minors rarely work out. Even Aaron Judge has had his K rate catch up to him and he was a way better prospect than TO. We still got nothing in return for our 2nd ranked prospect. Take out who we got for O’Neill who would you like him to replace in the OF right now? Our best prospect will be coming up soon so you take Dyson out and who would you have him replace? Gamel will probably be the 4th. As for getting more for him you have 0 clue how much he could get for him. He could have been shopping him for awhile with no takers. They see the holes in his swing and know it will only get worse in the majors. As for being the #2 prospect that could show more how weak our system is more than how good the player is. Really the player I hated seeing going the most was Gohara I think he has the most upside of all the players he has traded. I would replace either Gamel or Haniger who haven’t hit at all since the all star break with O’Neil. If you really believe that, you’ve lost your mind! The.400+ BABIP that Gamel ran for several months.was unsustainable, and the 50pts below league average on BABIP he is running the past month is unlikely to stay too. What you have seen is a normalization of his BABIP over the larger sample size and thus his average and numbers are where you would typically expect to see them. I think most can see that the injury greatly affected the season Haniger is having. 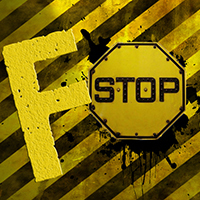 Start and stop and start and stop makes it hard to get into any kind of groove. Also, if you think that Tyler O’Neill would be better than those guys, you’ve lost your mind. Since the trade he is running a .228/.285 line with a 31% K rate at AAA Memphis. 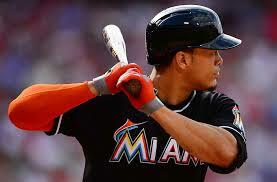 Yes, he still hits for power but that skillset will NOT succeed at the major league level. In fact, I’d argue that he be lucky to hit .200 with a 40% K rate right now at the majors. Gamel maybe but there is no way you replace Haniger with him. He has had a couple fluke injuries the biggest one getting hit square in the face. It takes time for guys to comeback from that. I would say a healthy Haniger is more like his start of the season that was close to ROY type stuff. Gamel can play all 3 spots out there so he is a better fit as a 4th OFer. I don’t think losing O’Neill is that big of a deal. I haven’t looked but I would guess they have hit as well as O’Neill in that time maybe not the HRs but the other metrics and that is MLB pitching not minors. Our overrated 2nd ranked prospect and only time will tell how things work out. I guess I should have read one more comment because he answered the question about who is hitting better. Against major and minor level pitching. Bummer that Leake won’t get a chance to hit. He’s a rare pitcher who has a glove and a bat, in addition to his arm. Nice to see a complete ball player in this age of specialization. Leake… an Arizona State Scum Devil from back in the day when that program still produced major leaguers. Nowadays they don’t even get players drafted anymore. With their current clown of a coach, Tracy Smith, they have fallen on hard times. Couldn’t haven happened to a more deserving bunch of cheaters. Cardinals freed up some money, might be able to re-sign Lynn. Would much rather have Lynn than Leake. Yes, they “freed up” $17 million going to Seattle with Leake. I still doubt they go after Lynn. The money is better used for that big bat they want to get this offseason. I’d feel comfortable going into next season with a rotation of Martinez, Wacha, Wainwright, and Weaver, Reyes, and Flaherty fighting for the last two spots. I like it foe both teams. Gives the Mariners some relative stability in the rotation and gives st. Louis salary relief. I wonder how often does a solid MLB player from a winning team (66-65) gets traded to a team with a losing record (66-67) for a prospect. I bet not often. Somebody get Dipoto a fidget spinner. Guy can’t go a week without shaking up the roster somehow. Holy cow. The Mariners stole Mike Leake from the Cardinals the same way Mike Leake stole six tee-shirts from Macy’s. The Cardinals defiantly got the better end of this trade. Why are they so defiant? Because they didn’t cooperate during negotiations.. they just said take him.. lol Autocorrect is a blessing. The mariners gave up a fringey prospect and are getting Leake at about 13m/yr for 3 years +750k international money. Stop being a homer. Great deal for both teams. Cards get out from under a terrible contract. Meanwhile, the Mariners pitching is so bad, it looks like a decent contract to them. It appears to be an interesting transition period for the Cards! Big deals? Little deals? Aggressive? I’m looking forward to what’s in the cards for the near future. Well said Seth. Very well said.